Finally Diva Skin, and More! Finally it’s done. Massive Modular system for Diva!! And there’s one for ACE, and even for Ableton Live! 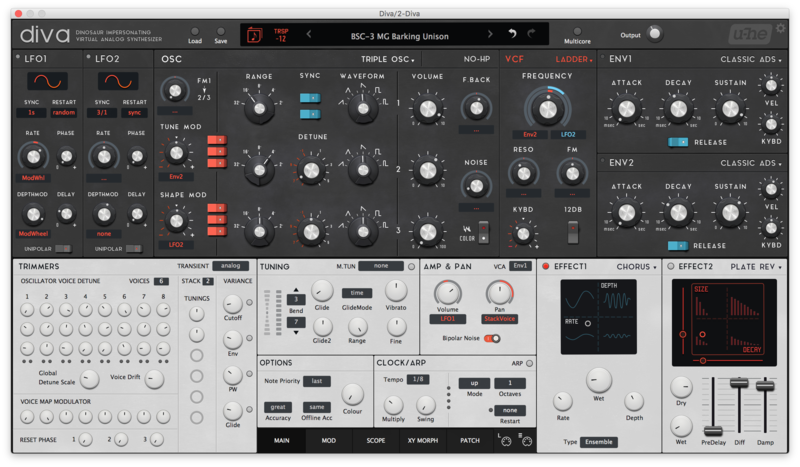 The same mod system as Massive Modular Skin is now in Diva. Designs won’t get in your way. There are a lot more features! See the product page. 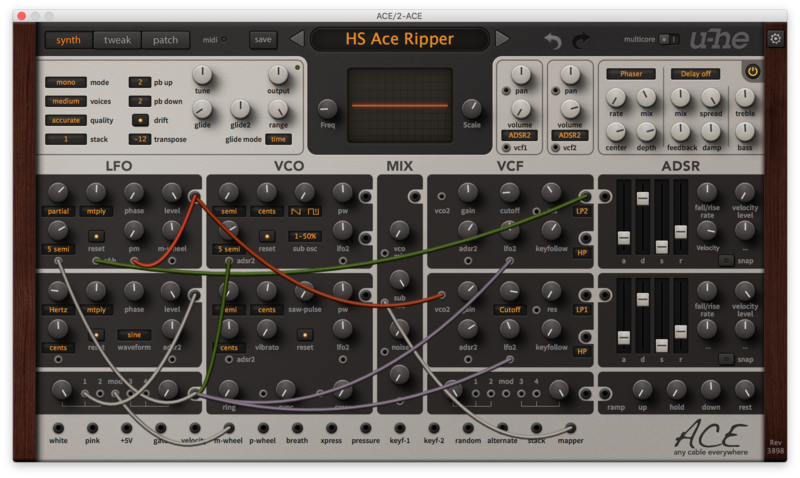 It’s commercial skin and comes along with a soundset… Just the same as Massive Modular skin. And here’s another one — Ace “Unity” theme. This is just a small theme that makes Ace more like hardwares, more “Vintage”. I just changed the knobs, the faders and the cable colours. Nothing else. It took me less than a day. …So this is free!! You can download this theme from the Freebies page. 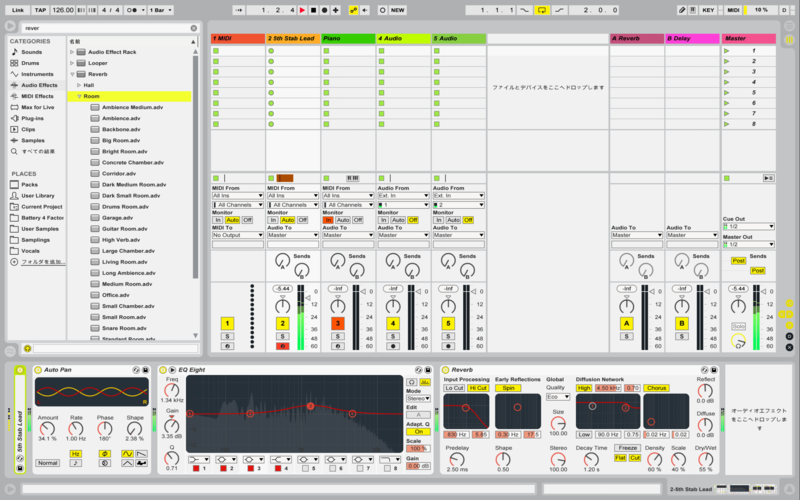 A custom Ableton Live skin, made with M4L Skin Editor. It features 3 accent colors : Strawberry Red, Lime Yellow, Leaf Green. So this is the most organic skin ever made. I’m not kidding. you can feel healthy, actually!! I also made a M4L effect — MiniADT. You can download these from the Ableton Goods page. How you work and how you feel — AIKO can change your Diva life, just as Massive Modular has done. Now you’ll be able to feel that Diva is an easy-to-handle, orthodox synth. I have see your wonderful work you have done for Diva,us are interested to have a new skin about http://www.audiorealism.se about ABL 3 ,please ,I hope you accept my proposal and I can give you a free copy of our plugin. Thanks for your offer. I’d be glad to!! Please can you send me the details via the contact form? I want to know what style of skins you guys need.